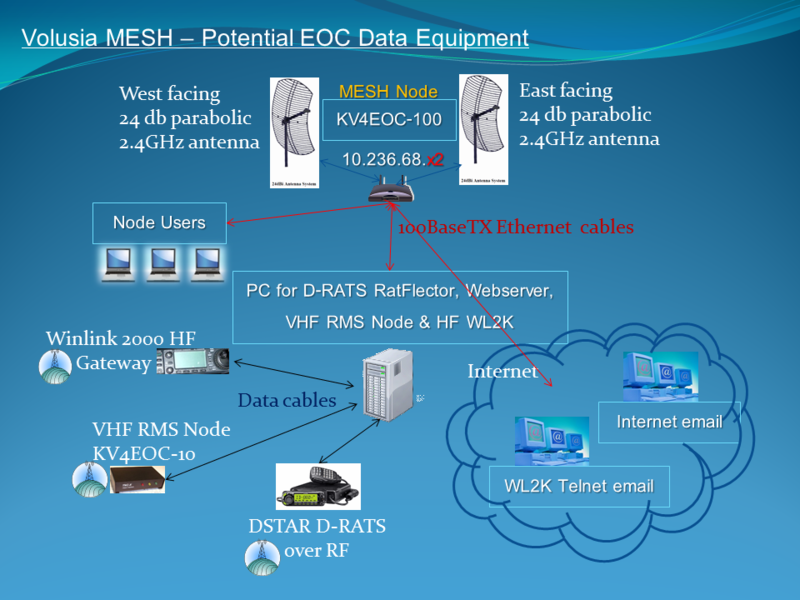 I've been asked about HSMM-MESH and D-RATS integration. One nice thing about D-RATS software is that it can communicate over D-STAR RF, Analog RF via a TNC and an Internet connection all at the same time. To illustrate what I think may be a full exploitation of these attributes, I've prepared the accompanying graphic. We've already been successful in sending an email to an Internet recipient over RF on D-RATS to a second D-RATS station that has an Internet connection. It seems to me that an HSMM-MESH user running D-RATS should be able to communicate with an RF connected D-STAR user via a mutually available RATFlector. I'm hoping to run some tests to see if this is a practical application.